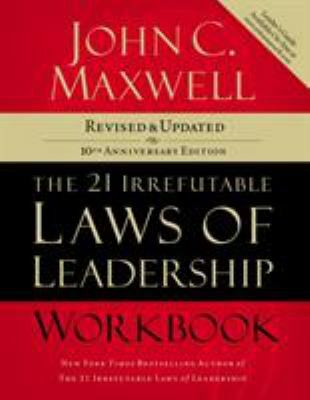 What would happen if a top expert with more than 40 years of leadership experience were willing to distill everything he had learned about leadership into a handful of life-changing principles just for you? It would change your life. Used Good (1 available) Good-This Paper Back Book is in good overall condition. The covers are intact with some slight wear. The dust jacket, if applicable, is intact with some slight wear. The spine has creasing. Pages may include notes, folds and highlighting. The "Head", "Tail" and "Fore-Edge" may have markings and/or spots. Thanks for supporting our Mission at Goodwill. GOODWILL INDUSTRIES OF S.W.FL.